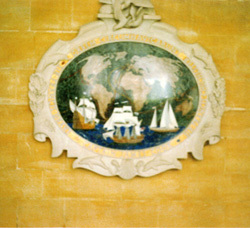 Barry Wakley Sculptors and Monumental Masons is a family owned business, and have a history in the stone industry in Australia for over 125 years and in the United Kingdom for over 475 years. We are one of a small number of genuine Monumental Masons in Victoria. Save Money and buy direct from a genuine mason. 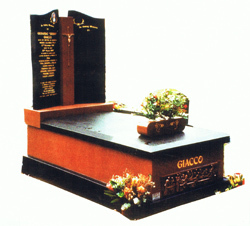 We offer an extensive range of Solid Granite Monuments in many colours and designs to suit any budget. We welcome any personal designs and you come to our workshop and watch your loved ones monument being made. Letter Cutting and Renovations also available. All monuments displayed on this website have been constructed by our company. 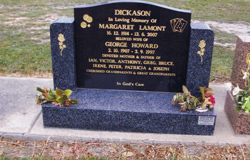 All Granite used by us is of the highest quality and all memorials have fully reinforced foundations.